Here's a laugh - dot-liturgy. it might be called, amen, amen, I say unto you, follow the money. Kurk Gayle and I (somewhat off his topic) talked about Psalm 27. The subject verse is rather interesting. Here's some nostalgia for you bridge players - autobridge from the 40s. (No that's not an auto on a bridge). Long conversation here on praying the psalms and how the long psalms become longer and longer when you follow the Anglican tradition. A colleague told me of the weekly monastic rule of reading the Psalter once a week! I hope it was a good translation. [KJV has law for Torah. This is a misleading translation if there ever was one.] Long psalms are not a chore when you see the poetic devices the poet was using and let yourself play as well as pray. Working only with the Hebrew - the question is - do the genres in the inscriptions form a pattern? Here is the raw data [updated]. The prayers of Book 4 are a significant frame for that book. A side note re inscriptions: Kimhi cites the tradition that ‘of David : a Psalm signifies that the Holy Spirit rested upon him, and (then) afterwards he uttered a Psalm while a Psalm of David signifies that he uttered a Psalm and (then) afterwards the Holy Spirit rested upon him’. See Psalms 24, 40, 68, 101, 109, 110, 139. That these are the 7 psalms that are marked in this way is an argument in favour of Kimhi’s comment. Fish, Is there a Text in this Class? Bayard would help us place these titles in our Library. ...He wrote of the constant transformation of interpretation. The process meant, however, that the reader no longer controlled the text. At the end of Fish's voyage, the reader did not respond so much as disappear into the belly of "rhetoricizing". (Page 66) She hasn't mentioned Jonah yet - but I've had a sufficient intro to Rhet. Crit. John Hobbins has a remarkable summary of what the canon of the Bible represents. This small sample is not the only part worth the effort to read and ponder. The question, then, is how biblical literature makes assertions about the way things are. Let me count the ways: through myth, legend, and chronicle; through the description of the bios of a people and individuals thereof; through the critique of prescription (torah) and prediction (prophecy); through satire, parody, and parable (e.g., Jonah, Esther, and the parables of Jotham and Nathan); through prayer, by definition the most fundamental indictment of the way things are; through praise, the affirmation of particular features of the way things are; through empirical observation and speculative inquiry within the bounds of philosophical religion (Proverbs; Job; Qohelet). I was looking at old posts, playing the role of archivist, and I noted - of course we all knew how psalms 96-99 seem to be one song, but I had forgotten how closely related psalms 96 and 98 are, sharing over 50% of their words. If we assume that such grand repetition frames other text, then the framed text is Psalm 97. Imagine yourself observing these three pictures in a gallery. You attention would be drawn to the picture in the middle, between two such similar images. Why, you ask, would the curator have placed that picture between the other two? Surely like things should be adjacent? Maybe the one in the middle is worth a gander. So you stop for a moment and stretch your neck to stare at the words. You find you are in the midst of ascension and the words recall Psalm 47, bringing to mind the command to Abraham to offer Isaac as a whole burnt offering. It's a remarkable reach that these psalms have. Hebrew words: 95. Percentage of Hebrew words that recur in this psalm: 43%. Average keywords per verse: 3.4. 2 dark turbulence ערפל (`rpl) only here and in Psalm 18, recalls the darkness of Exodus 20:21 and of the people, perhaps ironically in Isaiah 60, the Surge Illuminare. 9 Ascended, עלה (`lh) is used for offering, for going up, for ascent, even climbing. It is the word of the offering of Isaac. The ascension of Jesus written of in the NT is part of the whole offering of his life and its acceptance. It is not then a magical space journey, but a recognition that the offering is complete and accepted. In the same way, the goodness of יְהוָה is noted in his superiority to other things that might be worshiped. Selected words occurring in each of psalms -96,-98 - The frame for Psalm 97. What a delightful distraction, reading random verses of the NT in Hebrew. Psalm 17:15 anticipates the ultimate vision of the Apocalypse. and leave their surplus to their progeny. Now to jump to my super-conclusion: The whole Bible TNK+NT records a single act of giving birth. We are in the midst of Creation. The birth imagery is everywhere in the Psalms. It is central in Revelation. And this final chapter in the final book of the NT reflects the opening of Genesis (tree of life) as well as the opening of the Psalms (leaf does not wither). This verse also reflects the mark on the forehead. There is no use of forehead in the Psalms (!) but I guess it's OK to point out that it is a contrast with the mark of the beast, and the stone in the forehead of Goliath, and similar to Aaron's plate of pure gold (Exodus 28:36-37, the first use of forehead in TNK) and not something to be taken for granted as did the beauty of Ezekiel 16. I suppose too I could get carried away with the use of bear, = lift up, but enough's enough. Michael Barber reports that some of Origen's commentaries on the psalms have been discovered. What are we to make of the NT having read the Psalms? You keep from despising one of these little ones. For note well, I say to you, that their angels in the heavens gaze continually on the face of my Father who is in the heavens. Keep / guard, reminds me of Psalm 121 where keeping (שׁמר) is repeated 6 times. In that psalm, it is יהוה (Yhwh, the LORD) who does the keeping. I like the Hebrew plurality of the heavens. Heavens are always plural (though often translated as singular). Plural is more mysterious and less like a bowl over the top of the head of the earth, waiting for a haircut. The particle הִנְנִי appears to be extra over the Greek, a kind of plural version of the common 'behold'. There is perhaps some emphasis in the Greek that my ear does not hear. I see it is repeated in this dynamic French translation. Gardez-vous de mépriser l'un de ces petits; je vous l'affirme, en effet, leurs anges se tiennent continuellement en présence de mon Père dans les cieux. Gazing is not given as a rendering in the French. Regardent would be the literal gloss. The phrase 'in the heavens' appears only once. I am guessing that the duplication is removed in some manuscripts. The RSV paragraphs this verse at the beginning of the parable of the lost sheep. But I think it more suitably closes the bracket begun in Matthew 18:1. What about these little ones? In Psalm 34 I translated בנים, (sons and daughters) as Little ones, L for the acrostic. But little ones might remind us more of Psalm 8 where splendour is chanted מִפִּי עוֹלְלִים וְיֹנְקִים "from the mouths of babies and nurslings". Rashi reminds us that the word for babies is cognate with filth. Whoops - watch out for the despising! The Hebrew here is used only twice in the Psalms, 104, both small and great, feminine plural, of the creatures dependent on God and 115 masculine plural as above, of the blessing of all who fear יהוה. The face of my Father - the presence of God. This face / presence is everywhere in the Psalms. Read them. Note particularly Psalm 68:1-11. No distant heaven here, but the presence of judgment. (And Do Not Destroy this Psalm - pun). I am currently reading Sarah's Key, a novel about the Vél, d'hiv, that once suppressed and ignored but now more infamous rounding up of French Jews in 1942 by the French police into the vélodrome d'hiver for deportation to the death camps. If the angels are gazing, are they also doing their job of protecting (Psalm 34)? hovering, the angel of יְהוָה surrounds those who fear him and rescues them. How many generations does a rescue take? How much gazing effects a rescue? 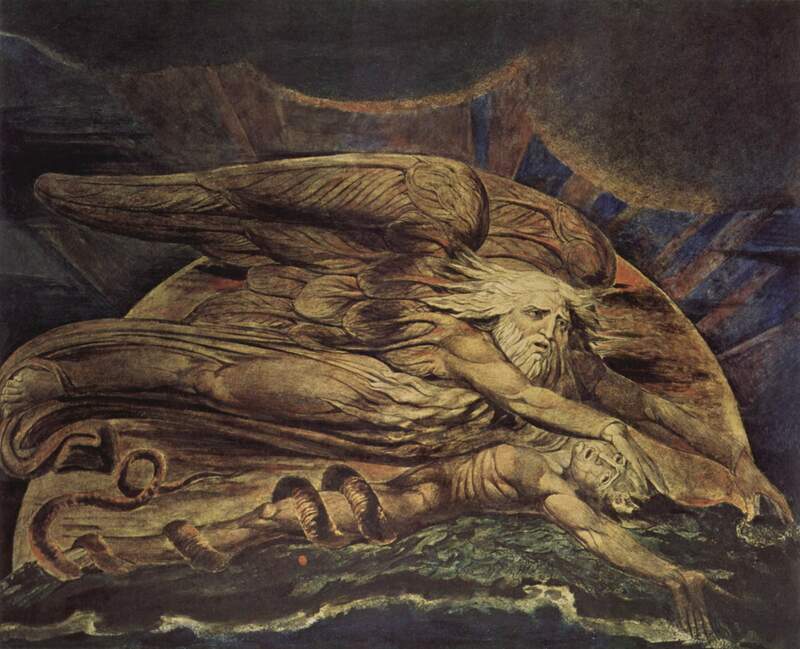 The Jewish Annotated NT mentions several places of angels guarding humans, but not Psalm 34 - curious. I asked my wife what she might say about this verse and she said, read the poets and listen to Mahler. My last printed copy of my draft is 10 days old, more than peas porridge in the pot, and I have only made maybe 150 words worth of changes - less than 0.1% and most of those were based on an algorithm to find two and three word repetitive figures in the Psalter. I do have other interests. Steve Becker's bridge column in the Globe and Mail did not appear for my weekly column fix on Saturday, so I subscribed to Bobby Wolfe's blog, a disciplined one post a day that is quite delightful. Here is the latest. There's a very interesting conversation going on here. My last comment was done from my blackberry while my leech was drawing its monthly blood. Other conversations have been pointed out that are extensive but more like ships passing in the night than conversation. So no link from me. Where are the debaters of the age? State of the project - how hard is it to write a book? But what do I have? I have the book I wanted to teach me the poetry of the Psalms in their original language. 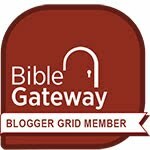 I have a complete English-Hebrew and Hebrew-English glossary for all the words in the psalms including their root forms. I could have bought one, I suppose, but this is one I developed from seeds. Anyway, I am going to rest next week - or something. My wife has edited my English in Book 1. I hope she has time to finish her critiques this summer [she did and so also did the publisher]. And there are 10 readers out there, though 95% of the feedback to me so far has been Diana's or my own. But the very fact that there are readers makes me read differently. And some have been very encouraging, laughing where they should laugh, making me focus where I must focus, and asking - how did you do this? - we want to know the technique. 526 pages, 55 of these are index, in 7 parts: 1 Torah, 2 Prophets, 3 Writings, 4 New Testament, 5 Names, 6 Themes, 7 Other, and glossary (Hebrew English and English Hebrew for every word in the psalms with references). 150 chapters + about 20 excursus and summary / intro sections. Very readable Hebrew-English text side by side. If you are learning Hebrew this is a marvellous way to read. The English is to raise questions, not to be definitive or speculative about answers. You can have your favourite translation or commentary nearby to help raise more questions. Word count and percentage word recurrence for each psalm. Brief notes by verse, sometimes many, sometimes none, including the relationship of the text to the NT or to TNK, particularly to other writings like Job, the Song, Lamentations, and Qohelet, (and my favourite prophet, Jonah) or to other Psalms, Torah and Prophets based on word usage. Tables of the patterns of word usage, always one, sometimes many, sometimes comparing psalm with psalm or even a whole group of psalms. Extended notes interpreting the tables and briefly noting the point of view for each section. Here is where I have tried to focus on the text and not on confession or opinion. I have laid out in part how I have done my close reading. As R. Jonathan Magonet says, read with a set of coloured pencils. But here is how to read a poem and construct a relatively objective table of its internal structure from the point of view of word usage. As you read the poem (in Hebrew of course), for each word, decide what the root word is. As soon as you see a repeating root, make a column for that root. Number the column and write the root also as column header. At the end of the poem, you will have a table with as many columns as there are repeating roots. Then read the poem again to fill in each row with the word and verse and mark the relative place in the poem with an X as you fill in each column in sequence. It is noised abroad that God is complex numerically. Perhaps we should use mathematical notation like the tuples of complex numbers to present a thesis. But first: What possible experience can we establish as common in order to explore the problem space? I have always wanted to reason from the primal shared experience of the heavens and the earth to the postulates of Godhead, but this is one person's speech and may be subjective. Then again, perhaps I should study the written record before speaking. If I did that, I would never speak. As a blog post, this is of necessity, short. And there are so many opinions and confessions. I base my thinking on the TNK and NT, and being biased towards chiasm, the K is my focus (joke). So I will begin with Psalm 8.4, picking one psalm about the heavens and the earth at random. We all, from cabbages to kings, have some experience of the heavens and the earth. A bone one might pick with the poet of the Psalms is that this particular sentient being composed the poem in the first and second person singular, using I and thou, implying some individual or singular corporate personal aspect to the sensing of the body, eyes, and ongoing interrelationship of subject and conversation partner. So there are immediately two dimensions to the record of this conversation, in the eyes of the poet: self and other. The thou (you) in this conversation is invisible. What the thou made is not. We could spend a book on this word heavens, not to mention the earth or the sea (as Jonah does). And there is a third issue hinted at in the psalms, a singular-plural tension, the I and the we, the subjects. Does this imply that there might be a singular-plural tension in the thou? Skipping right on, there seems to be some insistence that the other is singular. But the other is not particularly clear about it. The unity is a complex unity. So Deuteronomy 6:4, שְׁמַע יִשְׂרָאֵל יְהוָה אֱלֹהֵינוּ יְהוָה אֶחָֽד, Hear Israel יְהוָה our God יְהוָה one. You put the verbs and punctuation in this sentence as you wish. God is plural. This is not monotheism, this is unity, a similar unity as might be found in a people, a nation, a congregation, or a family. It is possible for many voices to be in unity. So it is with singers and even those profane dancers (Psalm 87). So it may be with a single voice speaking on behalf of the many (Lamentations 3, or Psalm 42-43). Once this is admitted in one place in the Writings, a question arises as to when the person really is singular or not. Dimension 1 - the self, us, me. Dimension 2 - the other, unity and plurality. In the physics and math that we use, the second part of the complex number is multiplied by the square root of -1, or i. You will know that there is no possible way that the same number multiplied by itself can be negative. (-1 x -1 = 1) So the second dimension is called imaginary. Hence the i. This imaginary number is nevertheless real. Without it, there would be no science! No bomb! (No trinity! the name of that bomb.) Probably no I-phone and no Blackberry Torch either. Maybe even no probability. The imaginary is real. And it is dreadful as those mortal salt-sea-farers knew (Jonah 1.5, 10). There appears to be evidence (Psalm 34, taste and see), and speech where there is no speech (Psalm 19) from the same heavens. But there is a second tension implied by fear. It has to do with will to power and violence in the party of the first dimension. In a word, all is not well amongst those who perceive. When what is not well is put well, (Psalm 103) there seems to be some cross over between the dimensions. In math, this would be odd behaviour if one considers the mutually orthogonal nature of dimensions. But there may be moment and inertia in their interaction. And there may be mysterious expressible transcendence like (e^(i * pi)) + 1 = 0, Euler's identity. This mysterious interaction, coming back to the theological problem, is expressed in the story of Israel. It includes creation - redemption - wilderness - promise - exile - and restoration. Many possible books here too beyond the blog post. It is story through and through (and so is the NT). But it is story expressing the transcendent for the benefit of all. This post went in a strange direction. I still don't know if I can allow the imaginary dimension to include any number 1 to n multiplied by i. I don't see why not. So it may be that we fight over the 1 or the many, but the voice of many waters (Ezekiel 43.2) וְקֹולֹו כְּקֹול מַיִם רַבִּים as a cypher for the voice of God might allow us a certain patience with our reasoning.